Finally, Facebook Social media has the long-awaited feature which is the "Unsend" feature. So if you sent a message you didn't intend to send on Messenger, or you made some mistakes on your message, you can now delete them. 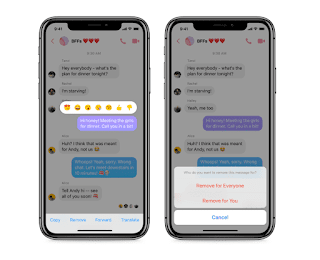 This new Unsend feature available on Facebook Messenger has been available on Telegram and Whatsapp, now, it is accessible on Messenger. It is also similar to the Whatsapp limit, you can delete messages if it hasn't reached more than 10 minutes, unlike Telegram which is 2 days. 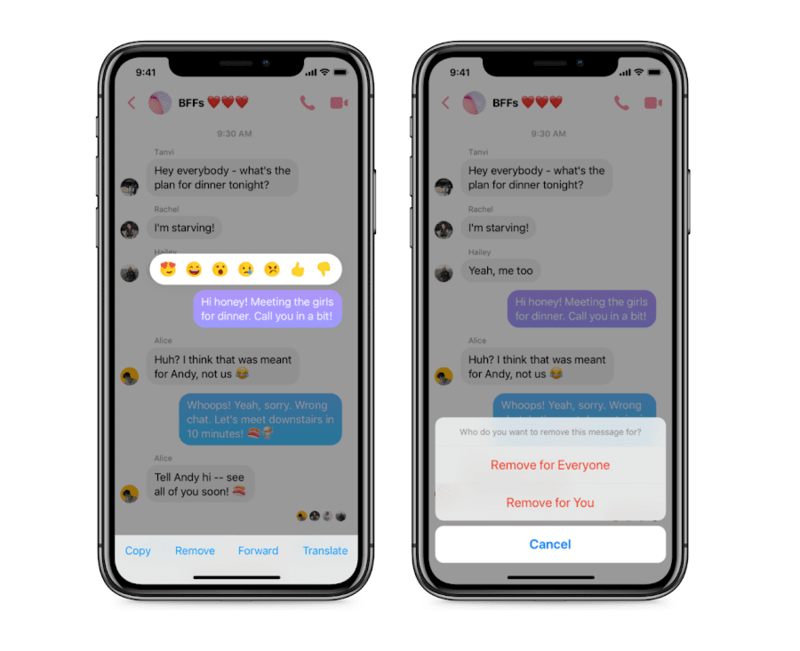 Nevertheless, sources confirm that there will be more Unsend features on Messenger for users like, remove for everyone, remove for you. And another cool feature to come in the new update is the new settings to set an expiration date for unencrypted messages and automatically deleting all messages threads. However, the new feature is currently only available in Bolivia, Colombia, Poland, and Lithuania but it is anticipated that the same will soon come to other countries as well.